Yeehaa! I'm now back to Sabah. FYI, my flight was delayed for about 3 hours due to the bad weather. Initially the flight would've landed at the KIA at 3pm but I was told by one of the officers at the departure hall that the flight could not land due to heavy rain and eventually affected the visibility of the runway. The flight then had to land at Sibu airport and took about another 3 hours before it flew back to KIA. I reached KK at about 8 something in the evening and it was raining but not as heavy as in Kuching earlier. Daddy and I did not go back straight away. Instead, we went to the nearest bakery house at Putatan to buy a birthday cake for mummy. Then both of us headed home and mummy was waiting for us at the front yard. She was smiling. Birthday girl bah! I stepped out from the car and gave mummy a big hug and kissed her cheek. Happy Birthday mummy!! It was her 44th birthday. Daddy helped me to bring my luggage into the house and I took my bath. Later that day, we went to my aunt's house to have 'makan-makan'. My grandmother also came all the way from Tambunan and it sort of like a family reunion. We stayed there for one night and went home the next morning. On the second day of holidays, a close friend of mine sent me a text message and guess what, it was another birthday celebration. He invited me to his birthday party which was held in a club. Isn't that cool? So, later that evening, another friend of mine came and fetched me at home because I was too lazy to drive. We went to Tanjung Aru beach for dinner before we went to the club. The party was awesome but I didn't get to hit the dance floor with the rest of my friends. Blamed my contact lenses. My eyes felt so dry and even worse I left everything at home; the casing, the solution and my glasses. *Sigh* So, I ended up became the 'tukang jaga meja' and watching them shaking their booty at the dance floor and at the same time drinking. We left the club at about 4 in the morning. 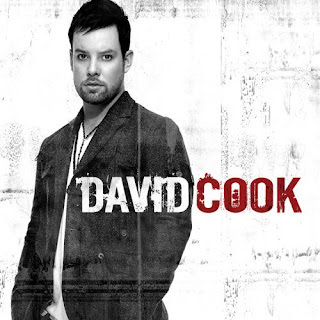 I just got myself David Cook's new album. What else can I say. All the songs are superb! I just can't stop listening to all of his songs. Here are the list of songs in his new album. I didn't about this until one of my friends told me that a Canadian with Sabahan root has link to US new president Barack Obama. The fellow whom I talked about is Konrad Ng. Konrad's father Howard Ng was born in Sandakan and married his mother, Joan from Kudat. Howard and Joan then moved to Canada where Konrad Ng was born there. Though Konrad is a Canadian, his parents are Malaysian (or maybe ex-Malaysian). Konrad then married Maya Soetoro, a half-sister to Obama. Maya was born to Lolo Soetoro, an Indonesian businessman, and Ann Dunham, a white American cultural anthropologist, who is also Obama’s mother. That give Obama not only one but two links to Asia, i.e. Indonesia and Malaysia. PETALING JAYA: Dr Konrad Ng is amused that his Malaysian roots got noticed halfway round the world, thanks to his link to Democrat candidate Barack Obama. 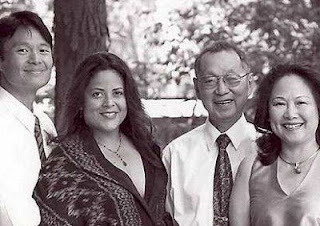 An assistant professor at the University of Hawaii in Manoa (UHM), Ng, whose family originally comes from Sabah, is married to Obama’s half-sister Maya Soetoro. Maya and Obama have the same mother. In an e-mail interview with The Star, Ng, 34, said that his father, Howard, was born in Sandakan and his mother, Joan, in Kudat. “I have many relatives who live throughout Malaysia, especially in Kuala Lumpur, Kota Kinabalu and the two towns where my parents came from,” he said. His parents subsequently settled in Canada and Ng was born there. Maya was born to Lolo Soetoro, an Indonesian businessman, and Ann Dunham, a white American cultural anthropologist, who is also Obama’s mother. Ng said his parents return to Malaysia once every one to two years. “It remains an important place of origin to them. In addition to a large, extended family, they have many good friends in Malaysia. I try to visit Malaysia every few years; it is a special country and feels familiar to me,” said Ng. Maya, who was born in Jakarta, also cherishes her Indonesian roots. According to Ng, she is active in the local Indonesian community and continues to speak Indonesian when she can. She visits Indonesia every few years. Ng described Obama as exceptionally brilliant. “Barack is a dedicated family man and cares deeply about transforming the world into a better place so that all families will have the same opportunities to do better. “South-East Asia is a place of connection for him and a region that he understands well. It gave him numerous examples of alternative modes of communication and perspective. “Maya, Barack and I have talked about the beauty of South-East Asia and our mutual desire to visit again,” he said. The family tree: Dr Konrad Ng, Maya, Howard and Joan posing for a picture. Maya, who is Obama’s half sister, is married to Ng whose parents originally came from Sabah. TESL Cohort 4 pre-exam party! Last night I went to Mitsu Shabu-Shabu (a steamboat restaurant) for the lets-go-have-dinner-together with my colleagues (TESL Cohort 4). Unfortunately, not all attended the pre-exam party due to personal reasons. So, here are array of pictures taken during the dinner. I was amazed at how thin the slices of chicken. Menn and I posing while waiting to be served. A snap before leaving the college. I tried to do the jump-shot but I landed early. Rempit? Nope. This is Shafiq's bike. Outside the restaurant. Everybody's full. Despite the fact that the final examination is few days shy from now, I still went clubbing to so-called "unwind" myself from the stress and boredom of just being confined between the four walls. Anyhow, I am not going to elaborate more on clubbing because I already did that in my previous entries. Remember? Okay. As I mentioned earlier, last night, I went clubbing with my acquaintances and the let's-go-clubbing thingy was not actually planned by me. Still, I willingly joined them because I really needed to get myself out from all the academic stuff in my room that made me completely gone haywired. This particular person or rather I address him as my "silent-hater" saw me went out with my other friends. I knew from the way he looked at me, he somehow felt uncomfortable seeing me went out with this group of people whom he always badmouthing about. Hey, I know these people and they are nice bunch of people. Mind you. I don't understand why this fellow hate the people that I went out with last night. I see no good reasons for hating them. Seriously. I'd like to confront this person and have chats over drinks but it seems almost impossible. I mean, this person is totally against any criticism/discussion about this particular matter and he would overreact in just a split second. I guess I've to wait for the right time to settle this matter. For sure, I just want to have fun and befriend everybody. No bad intentions. In fact, we're all social creature and who would want to be a loner right? Again, I don't understand why would this hater-guy react in such a way. He would simply accused me for something that sounds ridiculous for going out with them. Are you jealous or something? Or you feel threatened because no body actually wants to spend time with you. I feel sorry for you, dude. Get rid of all the negativity within yourself and try to accept other people. Last and definitely not the least, to my haters out there, I hope someday you will get rid of the hatred and just be nice to other people. As simple as that. This is something that all of us should ponder upon. Especially those who are soon to be a teacher. Sandakan: A Primary Five pupil claims he suffered hearing problems and bruises after his teacher repeatedly slapped him at Sekolah Kebangsaan Sungai Kayu, at Mile 7, Tuesday. Mohd Irfan Ibrahim, 11, who was accompanied by his parents, lodged a report at the police station, Wednesday. Mohd Irfan said the classroom was noisy when the teacher called him to the front of the class. The teacher suddenly slapped both his cheeks repeatedly and only stopped when another teacher passed by and told him so, he further claimed. The boy's mother, Masdiah Diong, 44, only found out the bruises on her son's face after being told by Mohd Irfan's younger brother who was in the same school. A check with the doctor found that Mohd Irfan suffered some injury that affected the boy's hearing in the left ear. Other parents whose children go to school there claimed the teacher, a disciplinary teacher, had previously took disciplinary matters drastically. Several boys and girls were allegedly ordered to take off their clothes before being told to go under the sun. Shame on you "disciplinary teacher"... a teacher should provide a risk-free learning environment instead of instilling fear among the students.